This is for cat lovers only and not shameless self-promotion. 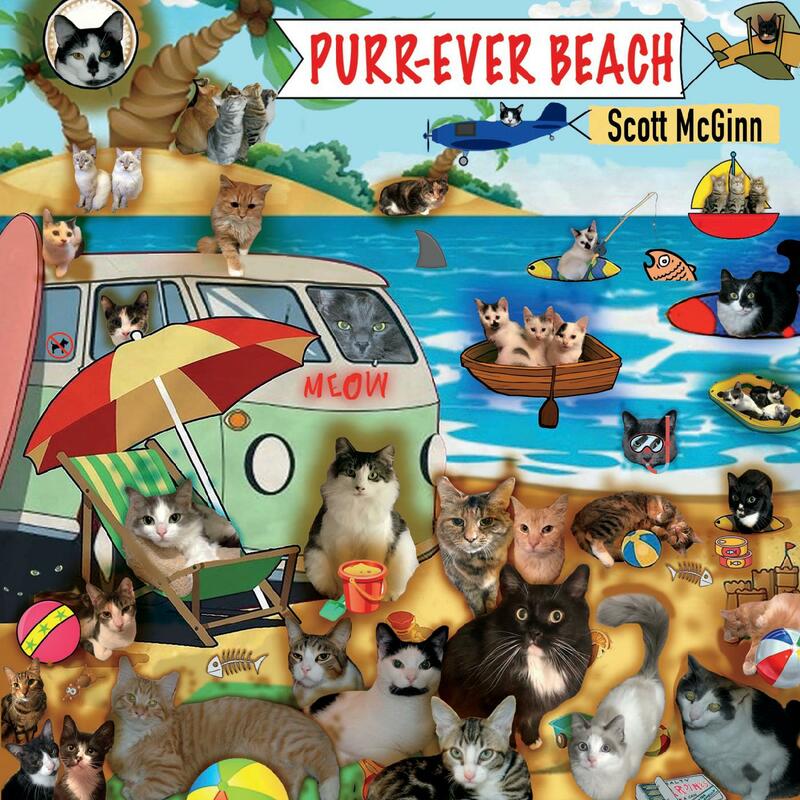 Here’s the cover I designed for Scott McGinn’s new CD “Purr-Ever Beach” which features pictures of McGinn kitties past and present. (Think of it as the feline version of the “Sgt. Pepper’s” cover!) One of the tracks “Keep Them In Your Heart” was written for Cause for Paws Cares – an animal rescue organization based in Silver Spring, Maryland. (There will be a video shortly. Hint. Hint.) The CD is available at all the usual places (Amazon, CD Baby and Trax On Wax in Catonsville). 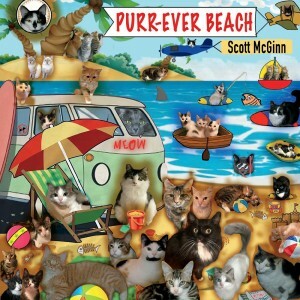 Thanks for reading and remember – no matter where you are, if you have a cat, you’re always at Purr-Ever Beach!